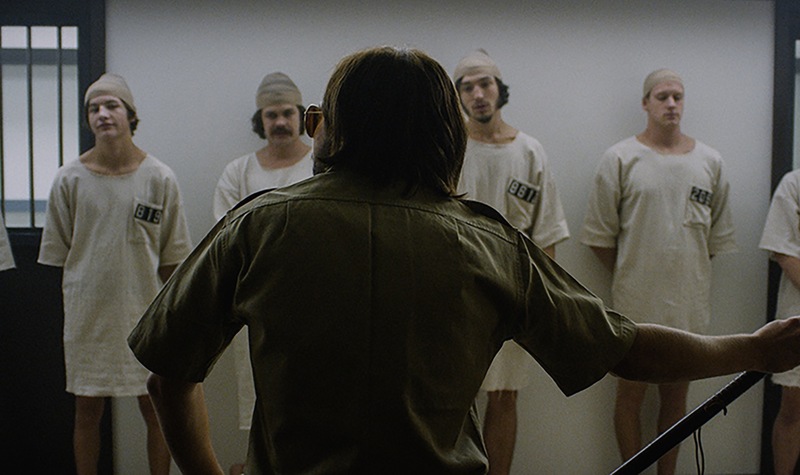 It’s about the famous social experiment from the ’70s where a college professor named Phil Zimbardo (played by Billy Crudup) took 18 students and arbitrarily made half of them guards and half of them prisoners and turned a hallway in the basement of the college into a mock prison. The aim was to see how the kids would respond to being assigned roles based on things like costumes and numbers. Things quickly escalated out of control, with Zimbardo himself being dragged into the effects of the experiment. Broadly speaking it’s about human nature, who we are at our core. What are our base qualities that cause us to do good or do bad to others? How easily can those things change? How quickly can they change? I’m a filmmaker based in Los Angeles. This is my third feature as a director, but the first one I haven’t produced or written. My first movie was called Easier with Practice and my second one was C.O.G. (which also played at Sundance in 2013). Oh, and I have a dog named Owen. Our biggest trouble was our schedule. It was a very long script (nearly 130 pages) yet we only had 21 days to shoot it and that’s with almost every scene having 12+ actors in it! So the logistics of just resetting for takes and trying to get 80-90 setups a day was a near impossibility. Every indie has a tough schedule, for sure, but this one was particularly brutal. Having said that, the cast was so on point the whole time and really game to work through what was really difficult material on a really tight schedule. On the best days we just never stopped rolling! I hope they ask the same questions of themselves that the experiment asks. It’s very easy to say “Oh I wouldn’t have acted that way,” but you don’t really know unless you were in the situation. So I hope they really learn more about the experiment and how it went down. It’s one of those stories that’s truly too good to be true and deserved to be told as authentically as possible. Honestly, I’m only just finishing the film now (we shot it in late fall, so the post production process has been very focused and intense) so I don’t know exactly what’s next. I’m always looking for something with new challenges and great casting opportunities. I would love to do an inventive genre film next. We shot on the RED Dragon.